South Korea's Yonhap news agency said the two leaders discussed denuclearisation issues. 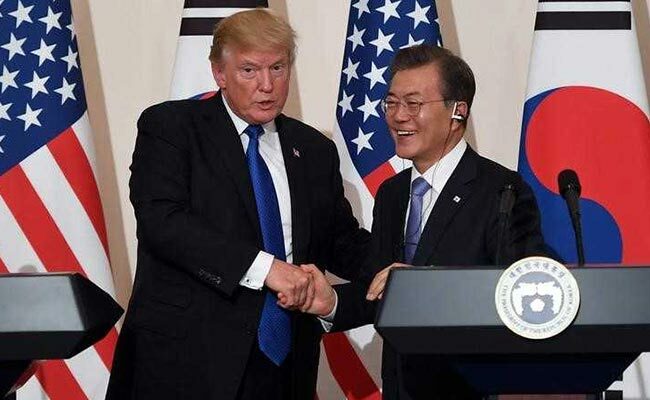 Seoul: US President Donald Trump spoke to his South Korean counterpart by telephone on Monday, a day before Trump holds a historic summit with North Korea's leader, South Korea's presidential office said. The office, known as the Blue House, did not provide further details but said in a statement it would give a briefing later about the phone conversation between the leaders of the United States and South Korea. Trump is in Singapore where on Tuesday he will meet North Korean leader Kim Jong Un for a summit aimed at getting Kim to give up his nuclear weapons.